Top of the line 5000 series Panorama model is ideally located on quiet cul-de-sac with sweeping mountain views. This better than new home has over $60K in upgrades and options. Why settle for an older home when you can get the latest style and amenities. Enjoy entertaining in truly gourmet kitchen featuring all stainless appliances, extra large island & pantry, upgraded granite counters, soft close cabinets, double oven, gas stovetop and under cabinet lighting. The spacious great room features a cozy gas fireplace. Off the kitchen is a convenient mud room and covered back patio overlooking professionally landscaped yard. The master bath is impressive with double quartz vanities, soaker tub, spacious glass shower and large walk-in closet. The upstairs loft is perfect for hanging out or watching TV. The unfinished basement and 3 car garage provides ample storage for all of your toys and hobbies. 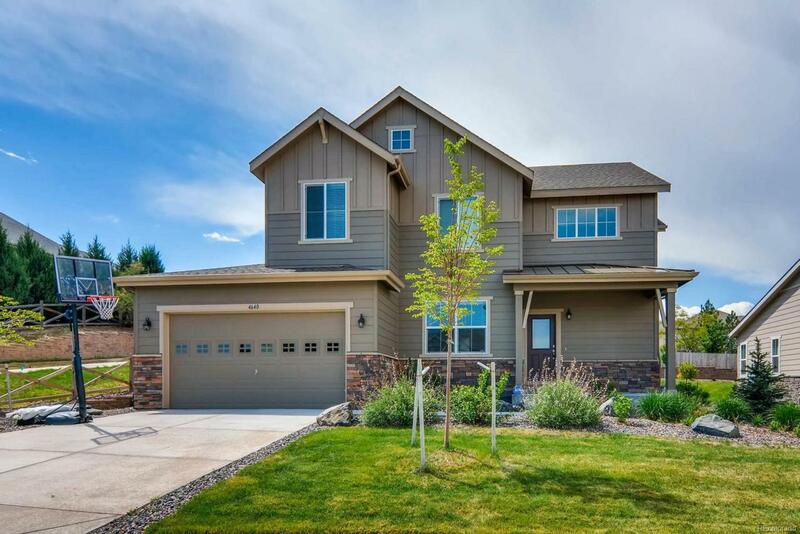 This absolutely spotless home is move-in ready with all appliances included.